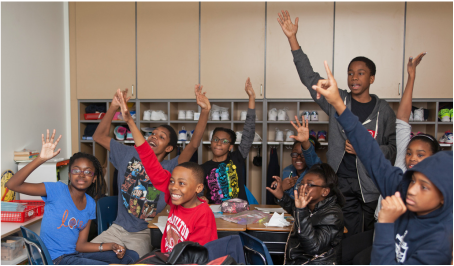 The On Track Program is the leadership and educational empowerment program for students of color in grades 5-8 that provides an experience and education that you just can't get in school. Over the course of 10 Saturdays a year, children are able to develop critical skill sets and make friends who share similar experiences while receiving mentorship from talented and experienced instructors of color. 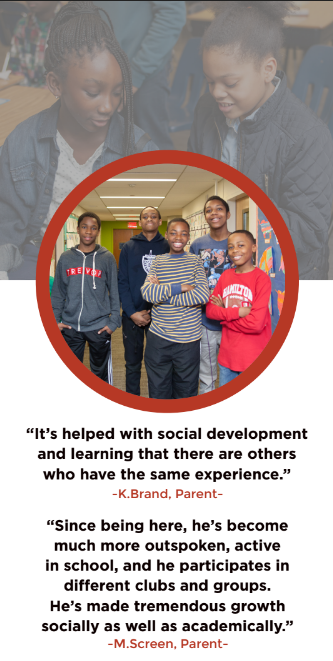 On Track's goal is to enhance identity development and social awareness in students, thereby improving overall school achievement and performance. The program creates opportunities for students of color from different independent schools to expand their social network. Our dynamic classes in Communication and Math Life Skills enhance the "Foundations" leadership curriculum. These interactive classes reinforce character building and give students a sense of accomplishment. All classes are designed to be fun, interactive and thought-provoking. Participants of On Track are children of color in Middle School (grades 5 - 8). The maximum number of participants at any point will be 10 per grade level (total of 40 in program). All students are kept in age and ability-appropriate learning environments. ​See what our kids have to say themselves in the video below! 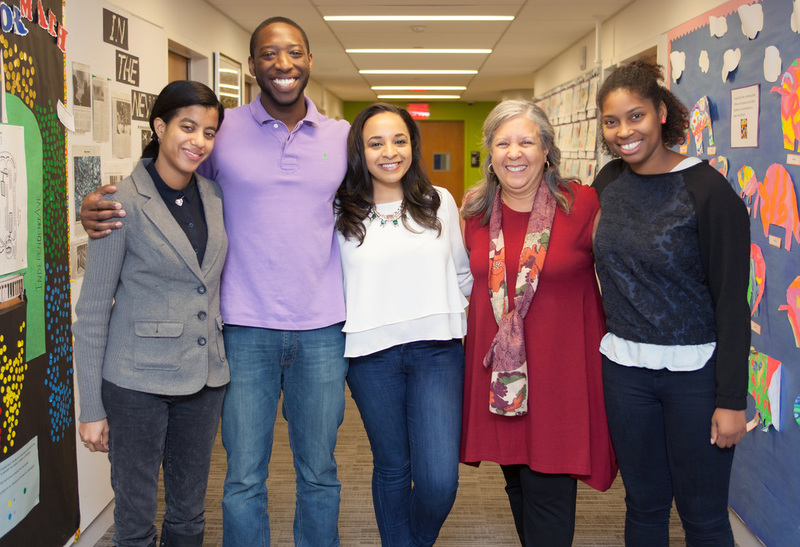 Our instructors are all young adults of color and are graduates of independent schools. Collectively, they have been involved with Prep for Prep, Oliver Scholar’s Program, elite colleges and ivy league universities. They have prior teaching experience through Teach for America and other institutions. Each instructor serves as a wonderful role model for our students. You can find bios for our instructors here. Each Saturday morning session (10:30am - 1:30pm) is made up of three 50 min. classes. Journaling is expected in each class to document experiences and concepts. Tuition is $600 for the entire series. Discounts available for member schools & returning students.